The demand for highly skilled welders has increased. This 2 day comprehensive course is for qualified welders wishing to undertake work in the area of Orbital Welding. QSI are delighted to partner with Walsh Engineering who offer the most comprehensive Orbital Welding course in Ireland. Next Course – 22nd & 23rd March. Cost: €595 P.P. Booking essential to guarantee your space on this course. A confirmation email will be sent within 24 hours of booking. There is a custom-built training facility at Walsh Engineering for the delivery of the Orbital Welding course. 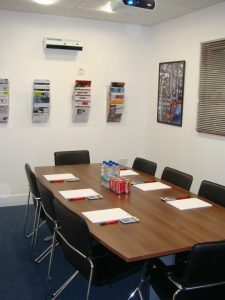 This resource consists of an eight seater conference room with full projector and whiteboard for the learning and written exam element of the course. 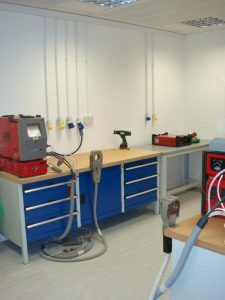 There is a separate tailor-made room for the instruction and training of orbital welding equipment. 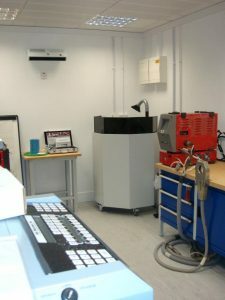 Within this room, we stock two AMI Arc Machines Model 207 power supply’s, a Model 307 power supply and a new Model 205 demo machine. We also stock a full range of Model 8 and 9 series weld heads as well as a vast range of cutting, prepping and facing tools from Orbitalum. This is an intensive 2 day programme award designed to enable qualified welders to upgrade their skills in the area of Orbital Welding. Those wishing to partake in this course must hold a valid welding qualification that must be in date. The size of stainless pipe that the training is completed on is 25 mm, 38mm & 50.8 mm. There is an exam at the end of the course and on successful completion participants can undertake employment in the area. The course went great and I can’t recommend Mike Keating the instructor highly enough his manner , knowledge and ability to teach are absolutely fantastic. On successful completion of this course candidates will receive a certificate of completion in Automatic Welding System, Application of AMI Fusion System as provided by Arc Machines UK Limited. This qualification is internationally recognised. On completion of this course, certification does not need to be renewed yearly.